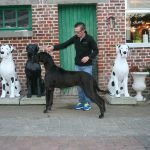 We are happy to inform you of our upcoming litter: No More Gossip V. Jewel’s Blue X Pebbles Van de Mazoraxhoeve. The Litter is planned for begin February 2019. 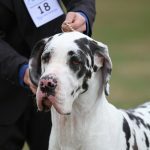 Check out the litters section for the pedigrees. 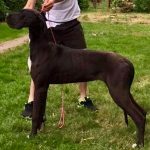 We are happy to inform you of our upcoming litter: Brunetti von Gut Neubourg X Liezl The Litter is planned for the beginning of September. 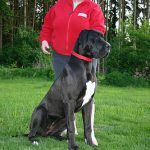 Check out the litters section for the pedigrees. 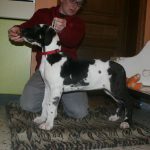 New pictures at 5 weeks of the Litter Brunetti von Gut Neubourg X Nanou!! 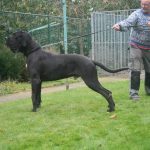 New pictures at 5 weeks of the Litter Brunetti von Gut Neubourg X Nanou!! Check at the litter page for each pups new pictures! 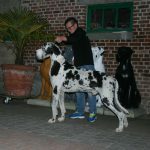 New pictures at 2 weeks of the Litter Brunetti von Gut Neubourg X Nanou!! 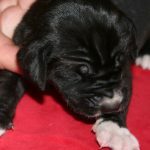 New pictures at 2 weeks of the Litter Brunetti von Gut Neubourg X Nanou!! Check at the litter page for each pups new pictures! 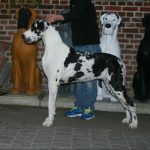 New Litter Brunetti von Gut Neubourg X Nanou is here! !